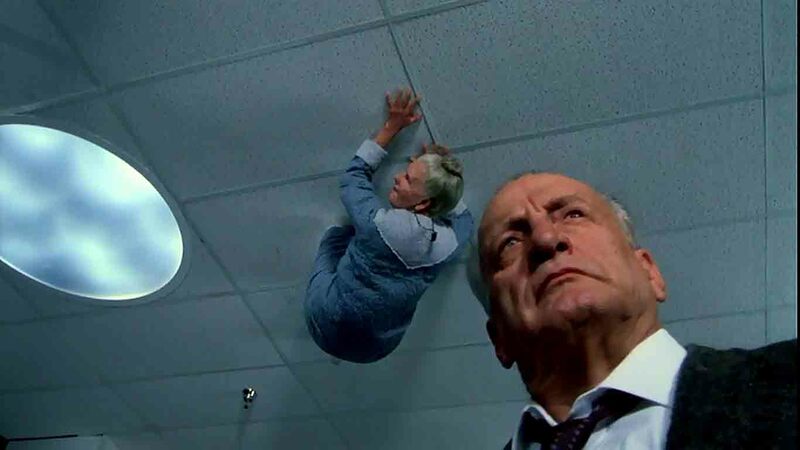 Going in chronological order, we started our series on Feminist Tensions in Exorcism Cinema by examining what occurred in the movie that started it all, The Exorcist, and then continued with its bonkers, not-really-about-exorcism sequel, Exorcist II: The Heretic. Next in this series of exorcism cinema comes the next sequel, The Exorcist III. This movie is unique in the series for three reasons. First, it moves the focus of the series away from the possession of Regan and to the Jesuit priests that have been dealing with her exorcism and how they have handled demonic possession in other times and other places. As with the other movies, this sequel makes it abundantly clear that we are supposed to be identifying with the priests, who must stand against the demon in order to save an innocent and the world. In fact, there are so few women in this movie that Blatty’s desire to focus on the priests as the source of good in a corrupt world is blatantly obvious. Second, in this story, the Jesuits are dealing with a man who is possessed — at least, I think that is what happened — which is a deviation from exorcism we will see again in the prequel(s) to this series, and it seems to reference the source material for Blatty’s novel, which was dramatized in the Showtime movie Possessed. Thus, we move away from the idea of possession being focused on women…but we still are seeing similar struggles of power that are highlighted through a feminist critique, namely in the fact that the man is able to possess other people to do his bidding. The demon here shares some fellowship with fellow evil force Dracula, and his ability to entrance women to become his slaves. All the ladies love the Keanu. Third, the movie is directed by the author of the book that started it all, William Peter Blatty. The movie is based on a 1983 novel he wrote called Legion. The book takes a crime thriller genre of a cop investigating a serial killer as a new angle on exorcism, as the serial killings seem to be linked to Regan’s possession case. The story may have also been inspired by real life events, as The Zodiac Killer is claimed to have called The Exorcist “the best saterical comidy (sic) I have ever seen.” The title of the movie refers to a Biblical passage, recounting an episode when Jesus met a man who was possessed by hundreds of demons; this possessed man called himself “Legion.” The story of Legion would be often recalled in other exorcism cinema. No mention is made of what happens to Regan at the end of the first sequel, most likely due to the lack of participation and consultation the movie had from Blatty. More interesting for this project, however, is how the alignment of authorship and auteurship perhaps means that this movie represents the closest alignment of Blatty’s voice and his vision, and thus his thoughts on exorcism and feminism. My partner had seen the movie before, and remembered it fondly, saying it has a moment that made him jump out of his seat when he first saw it. Before starting this project, I wasn’t even aware that there was one, let alone two, sequels to the original movie, so watching it was a completely new experience for me. I would not say I think of this movie fondly, but it is no where near as bonkers as the other sequel. I do, however, find it confusing, and do not understand what appears to transpire, especially in regards to the Gemini Killer and the demonic possession. Nevertheless, it does have some interesting views on women, religion, and men, which are good additions for helping us understand exorcism cinema. As always, the notes that follow represent my reactions to the movie as it unfolded. There are additional thoughts that represent my working through and clarifying what happened and what it all means. And we start off with a focus on Damien Karras, because, of course, he was the main character in the first movie. 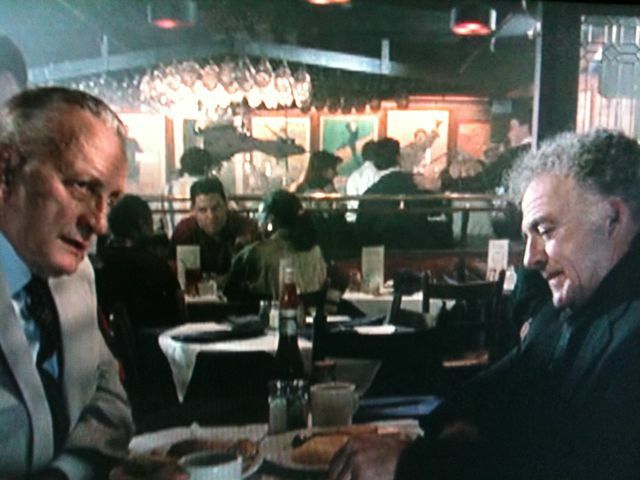 This movie appears like it is a reunion movie for Father Dyer (now played by Ed Flanders) and Detective Kinderman (now played by George C. Scott); so we get a buddy picture between a Jew and a Catholic. And of course we get more angst and loss of faith in God. And bringing race into it with the dream and death of the young African-American boy, who was apparently killed in a religious way. For a while into the movie, there are no real women characters. Instead we get the focus on Dyer and Kinderman, recalling Karras, and dealing with a serial killer, who is assumed to be male — although at one point a person, apparently an old woman, goes into confession claiming to be the killer and murders the priest. 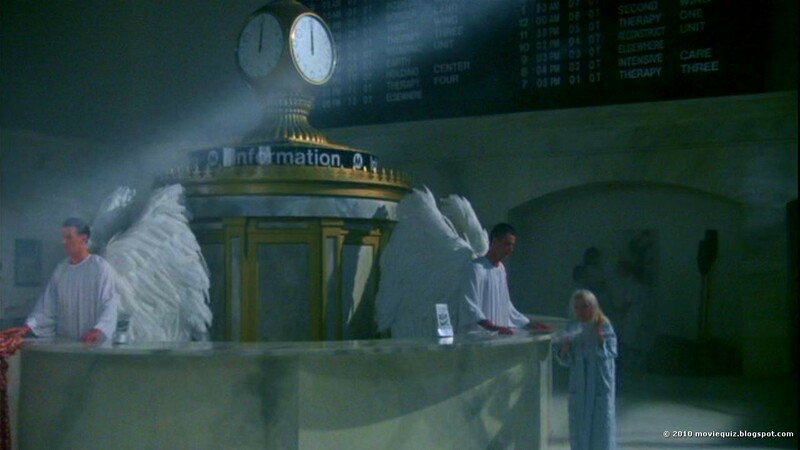 Okay, now a dream sequence about heaven? So far both dream sequences has presaged someone’s death. That’s about the only mystical thing in the movie so far. And it did presage a death, because now it is clear that the main character is Kinderman, as Dyer was apparently killed in the religious killing crime spree that is somehow linked to this Gemini Killer who died in the electric chair years earlier. So the cop is apparently the protagonist, turning this into more of a crime procedural than horror movie. Interestingly, the women with the most narrative impact so far have been positioned as older women — the voice of the killer of the priest, the mother-in-law, and the woman in the hospital outside of the priest’s room. While having less women than the original, at least it has more black people. And Karras is back, and still portrayed by Jason Miller? So is that Karras, still possessed by the demon from the end of The Exorcist, who is causing the killings that relate to the Gemini Killer? But how? He’s this “Patient X” person in the mental asylum. According to the movie, the fictional Gemini Killer has been dead from the electric chair for 15 years. I find the choose for the name fascinating, since Gemini can mean having multiple personalities or identities, and thus can be seen as being duplicitous. Three new killings of decapitations show marks of the Gemini Killer only the cops knew about. Kinderman goes to a Jesuit priest, who says the connection of three killers could be the McNeal exorcism…for some reason…and then Kinderman hears voices, sees some objects moving, which he follows, as if he is being led – but is it just a dream again? A premonition? Is Kinderman being portrayed as sensitive, in the same way Regan was in Exorcist II? Okay, the link to Regan is that the confession priest who had been killed earlier was the one that had given Karras permission to do exorcism. And the African-American boy’s mother had figured out that Regan had been speaking English backwards – which is different from the book, since it was a guy in the book who figured it out — and it does seem to be that Blatty is shoehorning things into this movie to make it connect back to the earlier movie — like stuffing a square peg into a round hole because he really, really needs it to fit there. Kinderman is sent to speak to a priest who performed an exorcism in the Philippines, and who is apparently being haunted. This movie also seems to be heavier on the religious symbolism, perhaps because of how much control Blatty has in what is being shown. The doctor of the mental asylum is memorizing a script of something to tell Kinderman – i.e. preparing a lie – and his office is decorated with a lot of religious and spiritual symbols from many different world cultures. So the doctor is positioned as crazy and evil in some way, which again calls into question the role and power of science in the matters of the modern world. 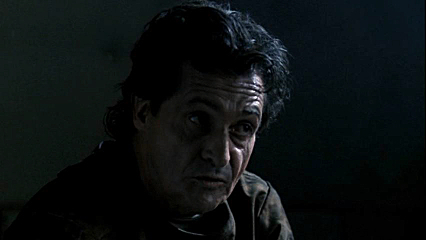 He tells Kinderman a lie about the guy in the isolation ward, the one that looks like Karras. The doctor says he thinks this Patient X is the Gemini Killer. Kinderman is showing signs of heart problems – going to go the way of Merrin? But they are calling Karras a saint? That is some interesting revisioning of history, given Karras’ issues with his faith. When Kinderman visits him, “Karras” recites lines Regan said when possessed, and then spouts the Biblical passage regarding Legion “I am no one; I am many.” He even has a demonic howl, but he does not speak with a demonic voice. Is Karras a shell for the demon? A shell for the soul of the Gemini Killer? There is a lot of genre-mashing going on, as the movie is combining the horror of slasher films and psychotic serial killer films with that of mysticism, demonic possession films. Oh, there’s Brad Dourif! Karras turns into Dourif! That was, weird. He sings in a young boy’s voice a religious song. He is definitely bringing in the psychotic serial killer, as Dourif is type-cast for doing – but what is the mystical? Is there mystical going on, like did Karras actually turn into this new person, or is it all just subjective, all in Kinderman’s mind? Playing with his mind, and thus playing with ours? IMDb.com lists Dourif as playing the Gemini Killer — so did Karras turn into the Gemini Killer for real, or is it just a manifestation of the demon? Dourif’s character, apparently the Gemini Killer, is able to go into weird hibernating trances where his body’s vitals slow but his brain activity is heightened – astral projection? Demonic possession? “Save your servant.” Different voices, different personalities? “Kill it.” Dourif’s character as possessed and thus a killer? The servant line is from the Roman rituals of exorcism. Seriously, what is going on? And because it has the influence of slasher films, the young blonde nurse is killed by a costumed killer, all in white. The film definitely shows the influence of the slasher films that came out after the original Exorcist — the structure of the narrative and the scares seem more attuned to that horror subgenre than the exorcism subgenre. Sometimes the Gemini Killer/Karras /Patient X voice does sound disembodied, demonic, with a deeper masculine voice. Indication that there are multiple possessions going on – hence, Legion – and that Karras is one of them. The Master as Satan, Pazuzu? Pretty sure that is not Dourif’s real voice – that it has been altered in post. This thing claims that the doctor helped him by bringing Kinderman to him — perhaps some indication of the demonic seduction of innocent and good men as seen in Exorcist II? He’s Karras when he goes tired, and Gemini Killer when awake and angry and in control – but what of it is subjective and what of it is mystical? Whereas the first movie goes into great lengths to show what is happening to Regan as being mystical, it seems more convoluted and uncertain here. Perhaps Blatty himself is not sure which side he wants to come down on: psychological or religion. Ah, so this Patient X is able to possess old people, the mentally infirm, in order to go around and kill. They hear his voice and do his bidding – hence we get the seduction of the demon. Such as the old woman crawling around quickly on the ceiling with a sinister grin – so that would be an indication of mysticism and demonic possession then, as there is no suggestion that someone is hallucinating that vision, since it is only presented for us the spectators to see and react to. This ability then explains the old woman seen at the beginning, when the priest was killed in the confessional. Possessing old women to kill is an example of the hag, of the connection to witchcraft, as the threat to man and the patriarchy. It would also be an example of gender-bending, of abjection, because it appears to be a male personality inhabiting the women. “Catatonics are so easy to possess” says Patient X. Old woman demonstrates great physical power, supernatural power, when possessed, and the unholy howl. People without agency being controlled like puppets, and gaining power when controlled by this masculine force. The killing is stopped when the Philippines priest shows up at the hospital, apparently to exorcise Patient X – but he is recognized by Patient X. Patient X shows his demonic visage, and says now this priest, Father Morning, is going to lose. There are images of fire, snakes in the room during exorcism — meant to be indications of the mystical again. And snakes directly links this movie to The Exorcist discussion of who Pazuzu is. Demonic face is somewhat like an old woman cackling, and sometimes the demonic voice appears to be a woman, but like an old woman. So Morning gets flailed alive – lovely. Kinderman arrives in time to find Morning dead. Then the demon attacks Kinderman. Kinderman calls on God to help him, affirms his belief in all that is evil in the world. Then lightning strikes and takes out of the room’s floor, and howls are heard coming up from it, and Kinderman sees his friends on crucifixes. Then that vision immediately goes away and the room is fine. Oh, and Morning is not dead. 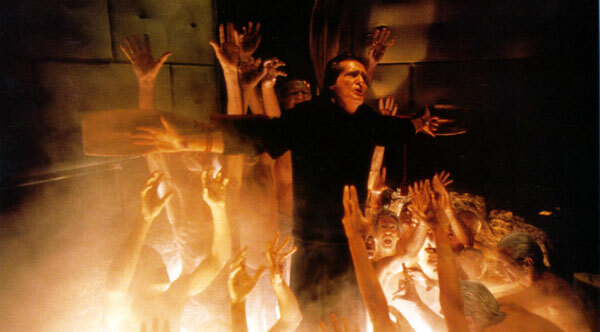 Kinderman calls on Karras to fight – Karras appears to regain control, and immediately Kinderman shoots him, all while white light is streaming into the room. No name is given by the demon during the exorcism, and the exorcism cannot be called successful. But Kinderman apparently is able to give peace to Karras…I think that is that happened. Again, as with Exorcist II, there is no real rite of exorcism performed, as the one here is interrupted, and the whole event ends with Knderman putting a bullet in Karras’ head. It is a very masculine act of violence, putting something into someone to kill them, whereas exorcism is about trying to take something out of someone to save them, which is a rather feminine act. Maybe that is why this exorcism ends with a bullet: the possessed person was a man, and the only proper way to save a man is with a masculine act. The feminine act of exorcism is shown as weak when dealing with a possessed man, as indicated by how quickly the demon dispatches of Morning. But when you have masculine violence as your disposal, then a possessed man can be stopped. And yet, the vanquishing of the demon is still performed by a man representing a patriarchal institution, law enforcement. Kinderman is even assisted by the representative for the patriarchal institution of religion, as Morning’s near-death intervention prevents Kinderman from succumbing to the demon’s tricks. The Man has the last word, whether it is through the language of the Roman Rites, or through the retort of a snub-nosed revolver. A note on ‘Exorcist III’ – originally, it never had an exorcism at all, just as in the ‘Legion’ novel. When the WB execs viewed the first cut they demanded that an exorcism occur, thus the rather forced shoehorning of the Father Morning character. Many fans are hoping for an original cut of the film. I liked your analysis of the elderly ladies’ and the “demon harem.” I think, just as having a sweet little girl like Regan do and say the most shocking things, having Mrs. Clelia be possessed by Gemini and raising hell and acting like Spider-Man is also meant to be shocking and outside of convention. Also interesting that although the central voice of the film & novel, Lt. Kinderman, is Jewish, we still somehow need the Catholic Church to save us. Judaism, as you point out in your review of “The Possession”, has a tradition of demons and exorcism. Too bad “The Possession” wasn’t any good as a film! Ah, we liked The Possession. That’s the one that started this whole project. I should give it another chance. I just remember finding it a rote and lame possession movie, despite the Judaism context which I was looking forward to. Plus I love Matisyahu! Of the new wave of exorcism cinema, though, I definitely think the worst was The Devil Inside. Haven’t seen Devil’s Due yet. Will you be watching The Vatican Tapes? That just came out very recently. Devil’s Due doesn’t really have an exorcism in it so we took it off our list. The Devil Inside was interesting but fundamentally flawed. Haven’t seen Vatican Tapes but I have Vatican Exorcism to watch. Grace The Possession has some interesting tricks, but The Taking of Deborah Logan was kinda good. The Possession of Micheal King was only okay. The Unborn was horrible but good for our project. Cult, a Japanese film, had horrible special effects but was fun. Hell Baby was definitely fun. I want to see Shark Exorcist because just so nutty. ‘Shark Exorcist’?! Oh I HAVE to see that one! Haven’t seen the others you mention. I started one last night from Spain called ‘Azmodexia’ which looks decent although I suspect it’ll just end up being so much sexualized contorting, just as ‘Devil Seed’ was (stupid movie). I think ‘Exorcismus’ is interesting and speaks to a lot of what you discuss here. Do you happen to know the movie “The Possession of Michael D” aka “Legacy of Evil”? It was a TV-movie made in 1995 for the CTV that Fox aired in the US.